The Training aimed to raise awareness and contribute to building the capacity of educators and other professionals on the design and application of ESD programmes. It focused on showcasing how educational projects about the use of non-conventional water resources and sustainable solid waste management (recycling, limiting plastic bags, marine litter) can be designed and applied. In his opening address H.E. Eng. Ahmed Qatraneh, SG of the Ministry of Environment stressed on the importance of SWIM- H2020 SM Project and emphasized on the significant role of ESD in achieving the SDGs in Jordan. Mr Fawzi Khotoba, Director of the Ministry of Education, expressed his expectation for the participants to become a core group for ESD promotion in the country and requested for follow up activities. Summing up the Training in which more than 55 Key Stakeholders participated, Prof. Michael Scoullos, Team Leader of the Project, emphasized the impressive ESD work carried out by the Ministries, CSOs, Nat. Com. of UNESCO etc. that could be easily integrated in the framework provided by the MSESD and its Action Plan. 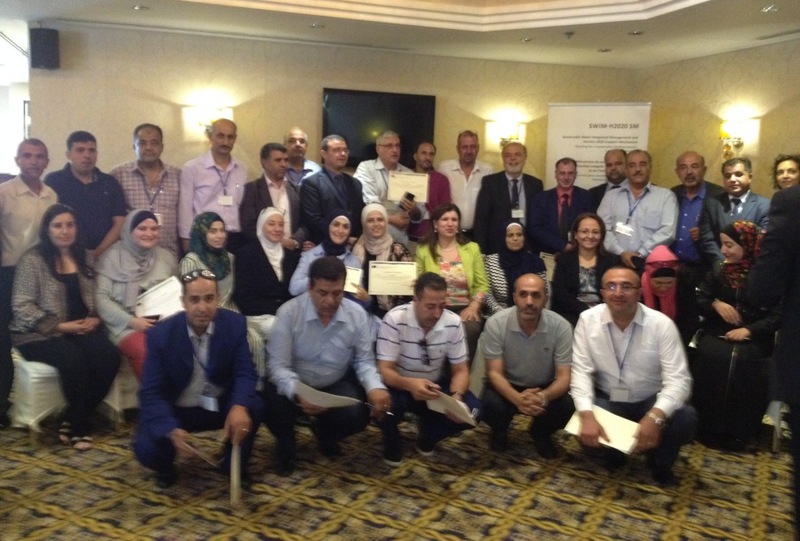 The requested by many participants establishment of a Coordination Committee/Platform to bring together all ESD actors and initiatives will stimulate the future ESD work in Jordan, hopefully with the contribution of SWIM- H2020 SM.